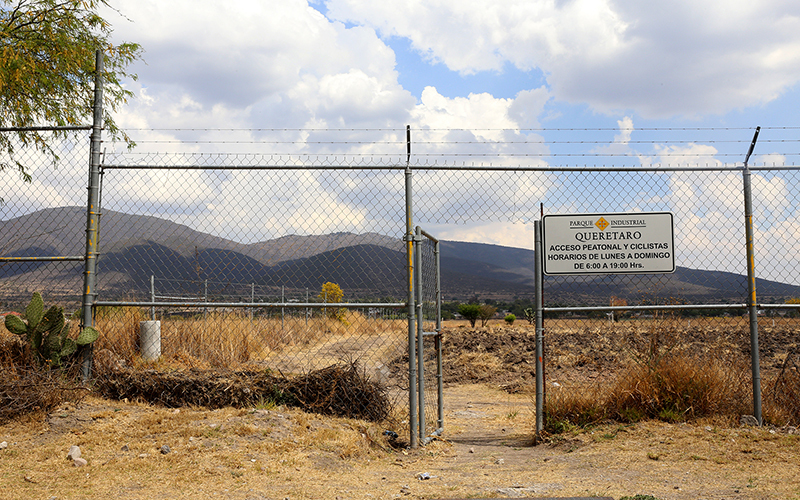 QUERETARO, Mexico – Mexico is facing something it never thought would happen: the possibility that NAFTA, the trade agreement that shaped the country’s economic policies over the last two decades, might disappear. But just as some Mexican officials try to convince President Donald Trump that the North American Free Trade Agreement has been beneficial for both countries, Mexican critics of the treaty think it’s time for their government to take a hard look at its shortcomings. Moreover, Esquivel thinks NAFTA hasn’t met one of its key aims, which was to reduce the wage gap between Mexico and the United States. When NAFTA passed in 1994, per capita income in the U.S. was 2.85 times larger than Mexico’s. Since then, the gap has actually gotten worse, with 2015 per capita income in the U.S. 3.19 times that of Mexico, according to the World Bank. More than half the country’s 127 million residents still live in poverty. But NAFTA supporters in Mexico point to clear benefits in the form of booming foreign investment and trade. Foreign investment grew from $4.4 billion in 1993 to $32.9 billion in 2015, according to the World Bank. U.S.-Mexican trade increased more than sixfold, from $81 billion in 1993 to $525 billion in 2016, according to the U.S. Census data. A key issue spurring Mexico’s internal debate over NAFTA is that relatively few regions and business sectors have benefited from that growth. As NAFTA developed, states that were closer and more historically connected to the U.S. market took advantage of the trade agreement, especially the manufacturing industry, which received nearly half of the foreign investment from 1999 to 2016, according to data from the Mexico’s Secretariat of Economy. “All the benefits of NAFTA have been concentrated along the border, certain central states, and somehow Mexico City,” said Esquivel. Foreign investment grew at record rates in central states deemed safe and accessible like Queretaro, which received more than $13 billion in foreign investment from 1999 to 2016, according to data from the Secretariat of Economy. Through NAFTA, these states attracted foreign investment not only from U.S. and Canadian firms, but from countries in Europe and Asia that wanted to produce goods in Mexico and export them to the U.S. with no tariffs. “Big international companies arrived not only from North America but also from other parts of the world who see Mexico … as the ideal way to export to the United States,” said Jose Luis de la Cruz, director of the Institute for Industrial Development and Economic Growth in Mexico City. In Queretaro, 40 percent of the foreign investment from 1999 to 2016 came from the U.S., while 37 percent came from Spain, Canada and the Netherlands and 22 percent came from 17 other countries, according to the Secretariat of Economy. A similar trend can be seen in Queretaro’s largest industrial cluster, Industrial Park Queretaro, created in 1997, three years after the passage of NAFTA. When the industrial park started, it held just one company; now the expansive industrial zone counts 150 companies, employing nearly 36,000 workers. Eighty percent of the companies are foreign-owned, half of those American. They include large multinational companies and American automotive suppliers like Beach Mold & Tool and Batesville Tool & Die. The park sits at the city’s limits on Federal Highway 57, also known as the NAFTA corridor, which connects to Interstate 35 in Laredo, Texas, to give a direct route to U.S. markets. “The founders of the park at that time saw several benefits in the NAFTA project and evidently also in the location (of Queretaro),” said Ricardo Gaitan, the deputy general manager of the Industrial Park Queretaro. The industrial park spreads out over nearly 1,600 acres and looks like a small city. It has its own fire station, ambulance service and water treatment plants. Buses that take workers to their jobs display small signs that read “Hitachi” or “Samsung” to show their routes. “The location of the park is strategic, it was built in a place where it was perfectly well connected, especially to the north of the country, to facilitate the mobility of both suppliers and producers that export to the United States,” Gaitan said. 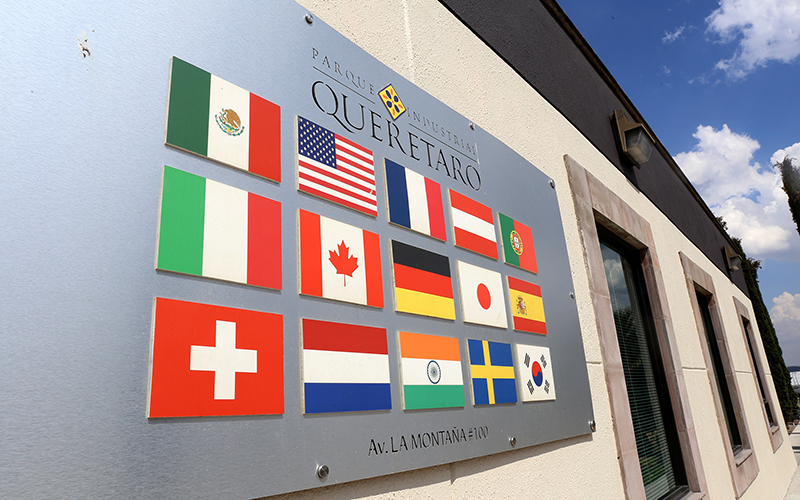 Queretaro has attracted two predominant manufacturing industries: automotive supplies and a burgeoning aeronautics industry, led by Canada’s Bombardier Inc.
Corregidora has two manufacturing clusters: El Pueblito Industrial Park, with 47 companies, and the Balvanera Industrial Park with 69. The municipality expects to build a new park exclusive to the automotive industry, despite the uncertain political and economic climate with and the United States. But according to economist Esquivel, the manufacturing work that companies do in Mexico is very simple and is not adding real value to the products that are exported to the U.S.
“Most of what we do is just ‘maquila’ work, and that means getting the inputs, doing a minimal processing work in some cases, and just sending them back to the U.S. This can be imported from the U.S. or from other markets,” he said. In fact, 75 percent of the inputs the manufacturing companies use are imported and only 25 percent are produced in Mexico, according to the Manufacturing Industry, Maquiladora and Export Services Program of the national statistical agency, INEGI. That low added value is also reflected in the relatively low wages manufacturing workers receive. For workers like María Vargas, her pay when she worked at the Industrial Park Queretaro was not as good as advertised. Vargas lives in the neighborhood right next to the Industrial Park Queretaro called La Estacada, which, though it’s in the city of Queretaro, just recently got its roads paved. The neighborhood is so close that the park has a back entrance for workers who walk to their jobs. Vargas worked for a Canadian automotive company for five years as a technician. She said she was told her salary would increase after a training period, but it stayed the same for two years: approximately 128 pesos a day, or roughly $7 a day. 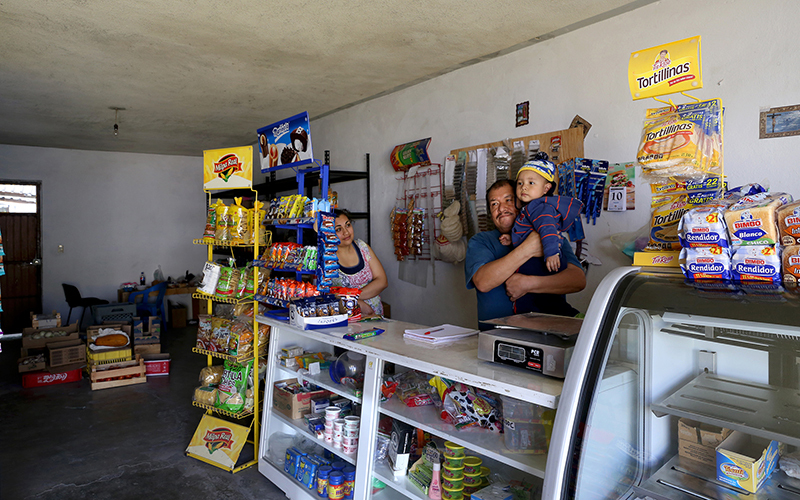 “They always had an excuse,” Vargas said, who now helps her father run a convenience store while she takes care of her of her 10-month-old son. But significantly better wages and added value in manufacturing processes are not the only things NAFTA failed to produce for Mexico. NAFTA didn’t do much to reduce poverty either: In 1992, before NAFTA, 53.1 percent of Mexicans lived poverty, while in 2014 the rate was 53.2 percent, according to the National Council for Evaluation of Social Development Policy. “The government here hasn’t done nearly enough and it hasn’t even begun to focus on the issue of how to get the majority of Mexicans who are poor integrated into the economy and formal jobs, and beyond that, integrated into the global economy,” said Mark Aspinwall, director of the Division of International Studies at the Center for Economic Research and Teaching in Mexico City. While Queretaro is among Mexico’s greatest beneficiaries of NAFTA-inspired foreign investment, large parts of the state have not been positively impacted. More than half of the state’s municipalities have poverty rates above 60 percent, according to 2010 reports from the National Council for Evaluation of Social Development Policy. Opportunities remain slim in indigenous villages in Queretaro state, where the best options include working in construction or manufacturing in the city, being a housekeeper or migrating to the U.S. or Canada. For Miguel Segovia, 21, none of those are options he wants to consider. Segovia, 21, is a student at the Ñoñho Intercultural Institute in San Ildefonso, Amealco, approximately 62 miles from Queretaro city. The school only teaches one career, Solidarity Economy, which seeks to increase a community’s quality of life, largely through nonprofit ventures. Here the goal is to give indigenous students the tools to create businesses focusing on their local culture. Segovia’s family is Otomi, the most prevalent indigenous group in the state. He is the first in his family to go to college; his father and brother work in construction and his mother travels to Canada as a guest farm worker for six months a year. Segovia contemplated training for a manufacturing job after a high school trip to the Polytechnic University, but he decided against joining and has no regrets since his cousins haven’t found good jobs. “We are a low-wage labor force,” said Ivonne Santiago, another student at the Ñoñho Intercultural Institute. But for businessmen like Gaitan of the Industrial Park Queretaro, those jobs are still a secure income. Segovia says having job offers is good for people who don’t have other options, but he is concerned about the negative impact these companies have on natural resources like water and communal farmlands, known as ejidos, that companies buy in order to build their enterprise or for new highways. Aspinwall agrees. Aspinwall thinks the Mexican government needs to do a combination of things to make sure the trade agreement benefits more Mexicans. “It has to do better with its education, it needs better social welfare and social services, it needs better infrastructure, it needs better public services, less corruption,” Aspinwall said. But as NAFTA negotiations press forward, deciding which changes are acceptable to Mexico will be a tough balancing act for the Mexican economy, which is deeply integrated with the U.S. economy. According to preliminary estimates by Mexico City economist Jose Luis de la Cruz and his team, eliminating Mexico’s trade surplus with U.S., which has been one of Trump’s main goals, would result in a drop of 3 to 4 percentage points of gross domestic product growth in Mexico. That could be catastrophic. “For certain states, that scenario would be very delicate because during the last two decades they have bet everything on export manufacturing,” said de la Cruz. For Esquivel, Mexico has only one option, regardless of what happens with NAFTA. “In any case, I think what we need to do is to do what we haven’t done for the past few decades, which is to look at our internal problems, to invest more in what we haven’t invested in the past few decades, like education and infrastructure,” he said.